How can I import products from Magento? Catalog Machine can quickly import or update products from your Magento store. After import you can add additional custom fields and images to products for use in catalogs. To import products from Magento follow the steps below. Create a new user: provide User Name and API key that you will use for connection from Catalog Machine. 5. 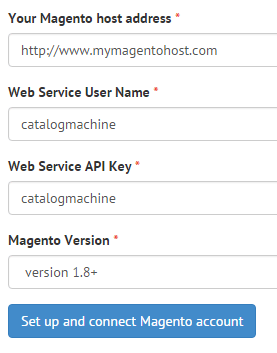 Check if Services (System | Configuration) > Magento Core API > WS-I Compliance is set to No in the system configuration menu. It should give you an XML-document explaining more about the usage of SOAP. 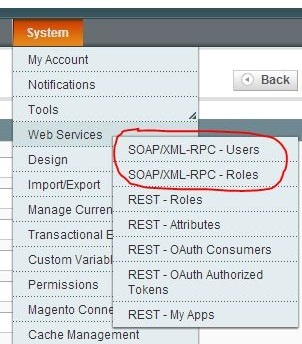 If you see the message “0 Unable to load Soap extension on the server” or “0 SOAP extension is not loaded”, SOAP support is missing from the Webserver. Normally this is something that your web hosting provider would have to install, so we recommend contacting them and asking them to install it. For RPM-based Linux distributions this is installed with the command “yum install php-soap”. Also, note that the PHP SOAP extension is not the same thing as the PEAR SOAP extension. 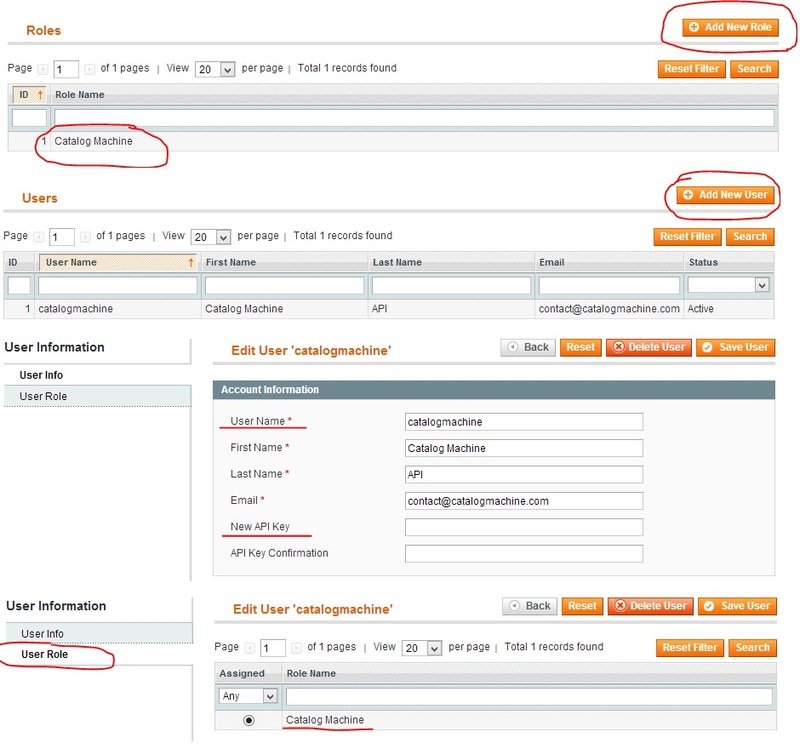 Enter your Magento store web address, User Name and API key that you created on the previous step. 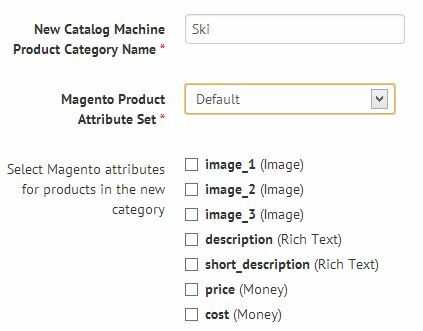 Create a new product category based on existing Magento attribute set. First free image fields will be used for loading images for the product based on Magento image sort order. Select and sync Magento products to create or update them in Catalog Machine product database. The product attributes will be matched to the field name of the Catalog Machine product category. Get products from Magento store. 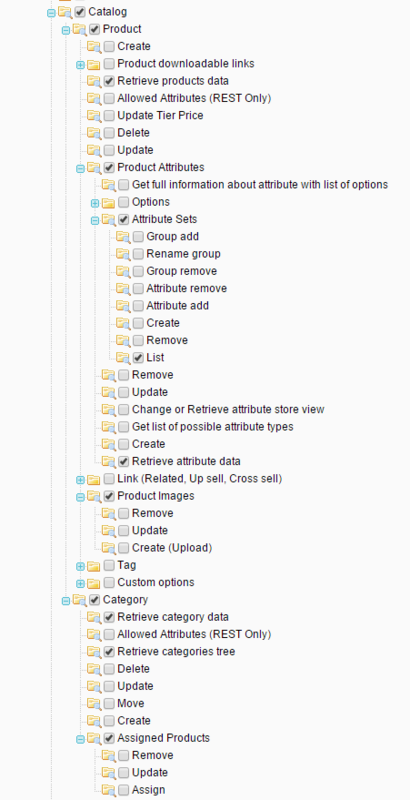 You can optionally filter them by category of product type. If the product already imported, make sure you have selected the same category for import. Select import category and click Import products. You can optionally override prices of configurable product from the first associated simple product. You products with images and other fields are now imported and you can use them to make catalogs. What is a product category? How do I start making a product catalog? © 2011 - 2016 CatalogMachine.com. All rights reserved.